If there's one thing that's for sure, it's that Splash loves Star Wars. So you can only imagine how excited we were when we discovered a ton of gorgeous Splash pages dedicated to the biggest blockbuster hit of the year. 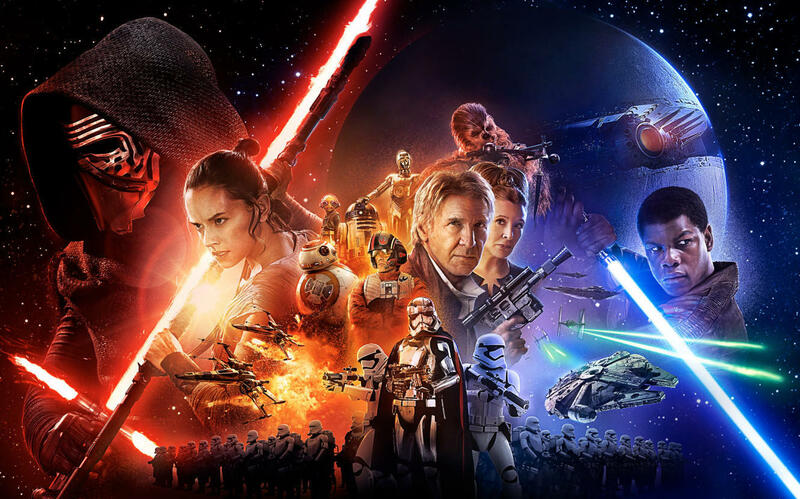 For the past two weeks, ad-tech company AdParlor has hosted a series of The Force Awakens screenings for employees and close friends & family. This Splash page, which was designed for their 200-person event in New York last week, was a beauty. WHY WE LOVE IT: We love that they started with the ultramodern "SPEAK" event page template and added just enough personal touches to make it their own. We especially love the custom Mapbox and of course, the Yoda quote. Bravo, AdParlor team! Utah-based IT engineering firm Red Sky Solutions partnered with Pure Storage, Palo Alto Networks and Zerto on their Force Awakens screening at a theater in Las Vegas. To get Splash HQ psyched for the new Star Wars flick, our very own Guillermo de la Puente took over the Splash Fishbowl to host "Splash Wars," a weekly movie night series featuring Episode IV: A New Hope, Episode V: The Empire Strikes Back, and Episode VI: Return of the Jedi. WHY WE LOVE IT: The best part of Guillermo's design? The speaker blocks and the typeface are consistent through the entire page. And as our designers say, he's mastered the "above the fold" intrigue. We like. Are you throwing a Star Wars party that should be on our radar? Hit us up on Twitter @SplashThat!